4. Subject to the provisions of Article 59, judicial decisions and the teachings of the most highly qualified publicists of the various nations, as subsidiary means for the determination of rules of law. This provision shall not prejudice the power of the Court to decide a case ex aequo et bono, if the parties agree thereto. 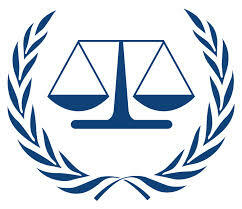 of Compensation Made by the United Nations Administrative Tribunal [Advisory Opinion] 53). a plea that the Court should allow the equivalent of an ‘actio popularis’, or right resident in any member of a community to take legal action in vindication of a public interest. But although a right of this kind may be known to certain municipal systems of law, it is not known to international law as it stands at present: nor is the Court able to regard it as imported by the ‘general principles of law’ referred to in Art. 38, paragraph 1 (c), of its Statute ( South West Africa Cases [Ethiopia v South Africa ; Liberia v South Africa] [Second Phase] para. 88; → South West Africa/Namibia [Advisory Opinions and Judgments]). Such obligations are based … on certain general and well-recognized principles, namely: elementary considerations of humanity, even more exacting in peace than in war; the principle of the freedom of maritime communication; and every State’s obligation not to allow knowingly its territory to be used for acts contrary to the rights of other States.